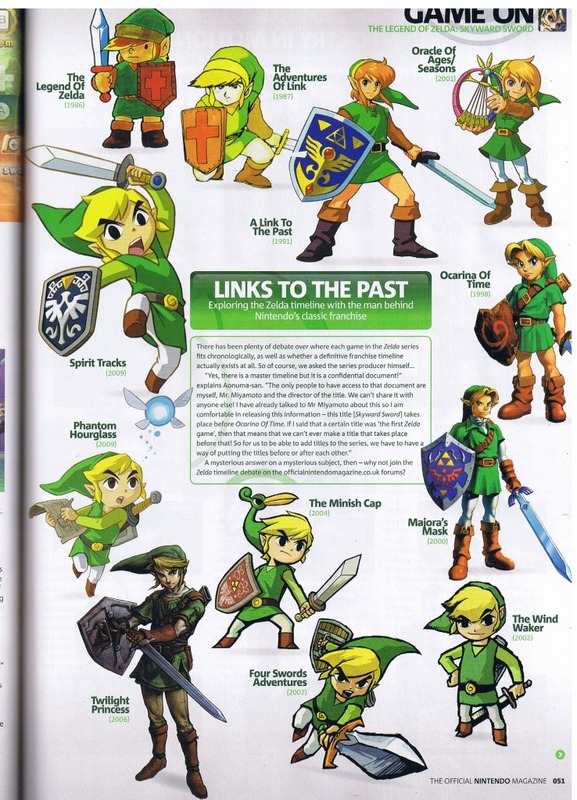 This comes straight out of the latest edition of Official Nintendo Magazine. Of course, thats not all that was said. 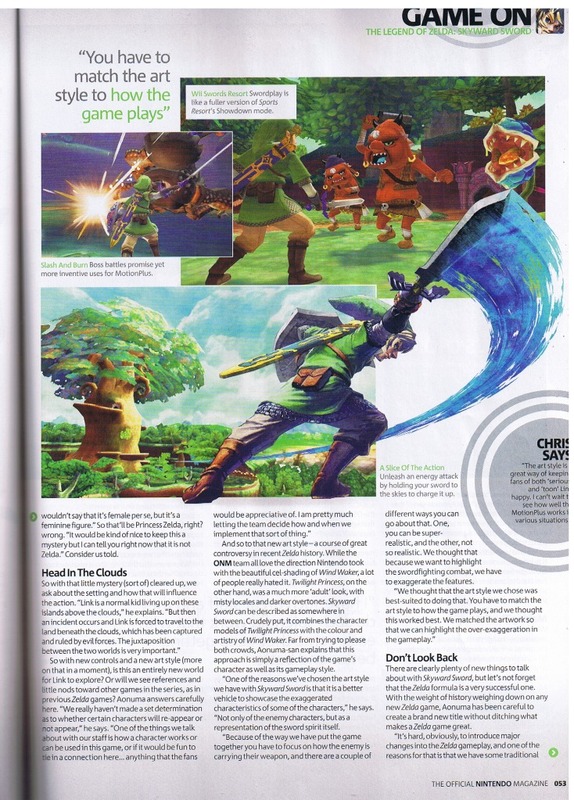 Step inside to see a complete article scan, as well as the text version of all relevant information. 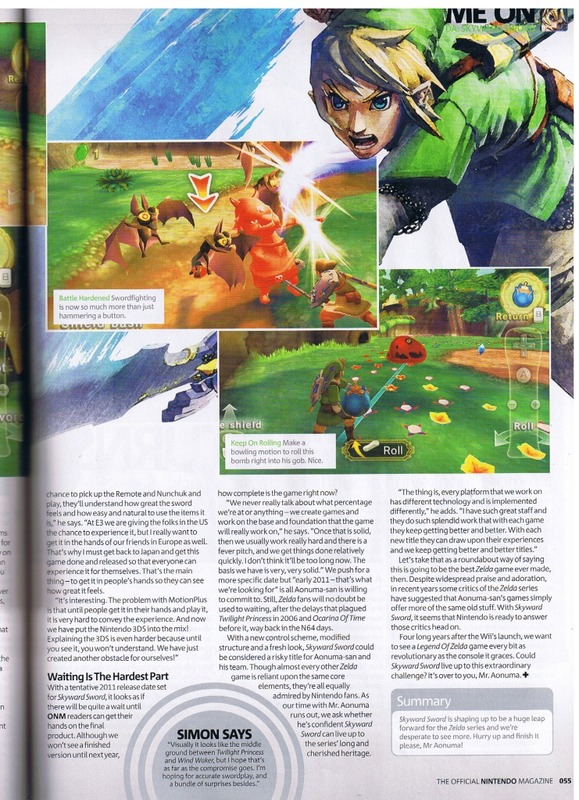 The biggest news is what you have already seen plastered all over the internet – Skyward Sword is confirmed as presently being before Ocarina of Time. There is a lot of good stuff in this article, but I’ll just quote the more relevant stuff. A heck of a lot of very interesting details. 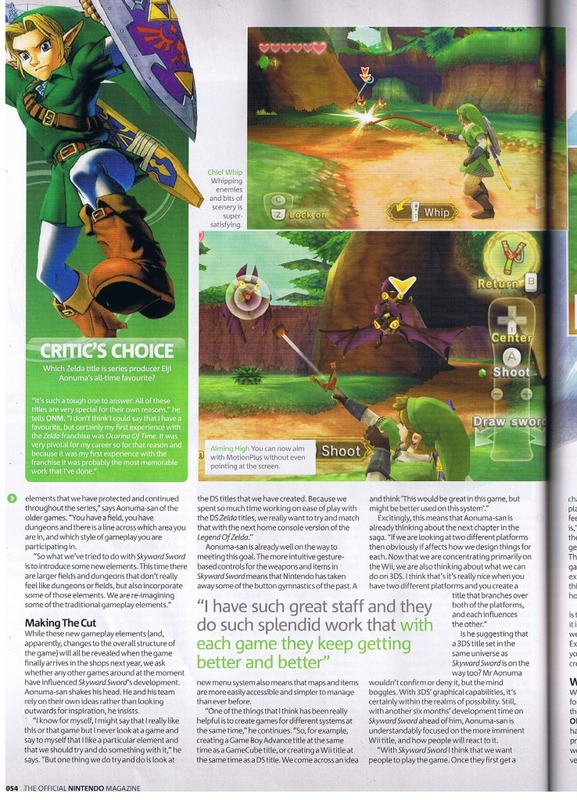 I am ever more excited for this game. Spring 2011, you couldn’t come soon enough! 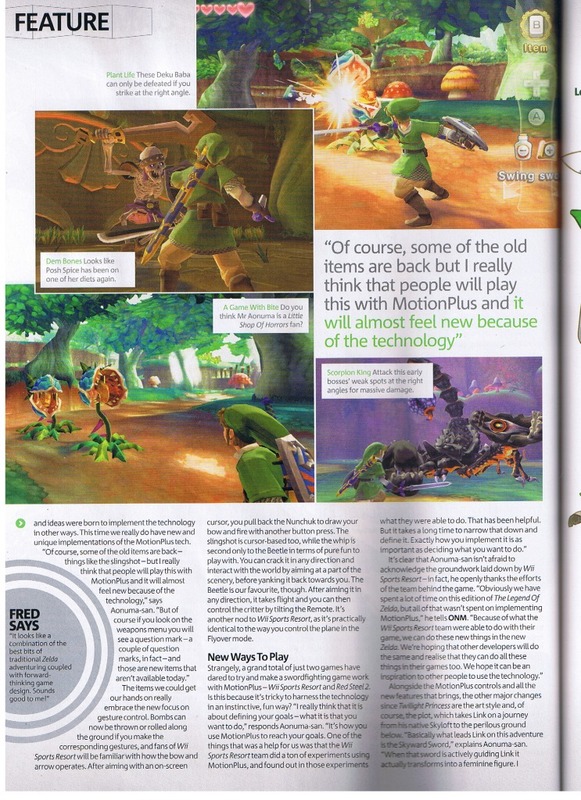 Major props goes out to Windwackster, a forum user at our affiliate site Zelda Universe, for providing the scans. Sorry we didn’t get this up earlier, we knew about it yesterday but lacked “the evidence” to present it. Thanks to this amazing Zelda community, that didn’t last long! 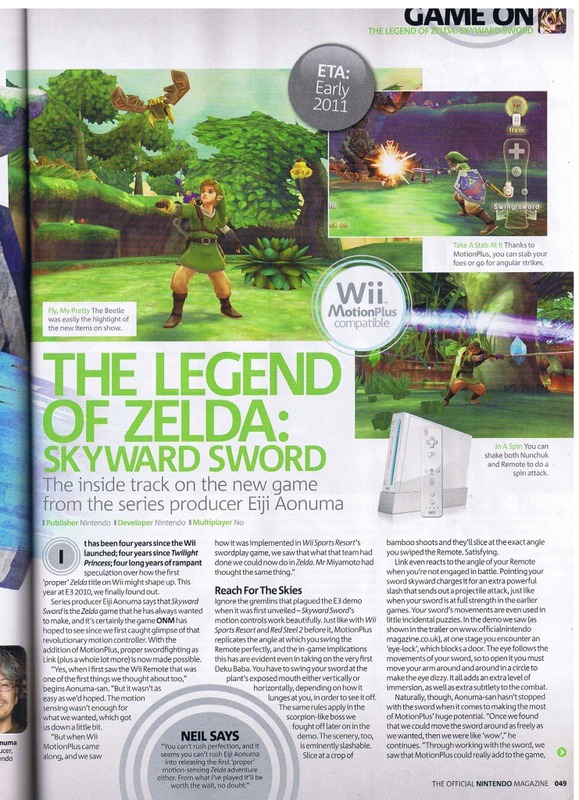 So people, Skyward Sword… discuss.